The Portes du Soleil is one of the largest interlinked ski areas in the World, spanning 2 countries, 12 resorts and over 650km of pistes. Located in the Northern Alps on the French/Swiss border, the Portes du Soleil includes well-known and loved resorts such as Chatel, Avoriaz, Morzine and Les Gets. It’s proximity to Geneva airport means ski holidays in the Portes du Soleil enjoy some of the shortest transfers in the Alps – about 90 minutes. As well as majestic mountains, the area is heavily influenced by the unique microclimate between Lake Geneva and Mont Blanc, meaning a good snow record each year. The ski area starts at 900m and goes up to 2400m in Avoriaz and the majority of the Portes du Soleil is also equipped with snow cannons to ensure great conditions throughout the winter season. The area provides unrivalled skiing and snowboarding for all levels and each resort within the Portes du Soleil offers it’s own individual on-piste features, from gentle beginner slopes to cruisy long intermediates and fantastic off-piste and snowparks. With 286 pistes to choose from there is definitely something for everyone! Perhaps the most unique element of the Portes du Soleil is the fact that you can access the entire area with one ski pass, and from whichever resort you choose to stay there’s a different ski adventure to discover every single day! Is the highest resort in the Portes du Soleil situated at 1800m on a sunny plateux above the Morzine valley. Mostly built in the 1970s Avoriaz is the vision of Jean Vuarnet, who grew up in Morzine and become an Olympic downhill champion. Together with Gérard Brémond (founder of Pierre et Vacances) they created a unique, modern resort that visually blends into its natural environment. Today Avoriaz is a popular resort due to it’s ski-in / ski-out accommodation and excellent high altitude skiing. The village has no cars or roads, so getting around the resort requires walking, skiing or horse drawn carts. There are also plenty of non-skiing activities such as cinema, bowling, indoor aqua center and a good selection of bars and restaurants. On the slopes Avoriaz caters to all abilities with a fantastic kid’s village, lots of gentle green runs on the Super Morzine plateau, a large array of blue and red runs in the Fornet bowl and some seriously challenging blacks under the Grandes Combes chairlift. There are three jump parks in Avoriaz including ‘The Stash’ which is Europe’s first natural board-park. Is a small hamlet of chalets located above the Swiss resort of Champery. As such there isn’t a huge amount of accommodation in Les Crosets, but the skiing is breathtaking. Les Crosets is located between the imposing peaks of Les Dents du Midi and Les Dents Blanches, so there are amazing views in all directions. There are several gentle slopes in the Lechereuse bowl however Les Crosets is a better ski area for more advanced skiers. Off piste skiers will love Les Crosets as there are lots of couloirs and powder fields. The famous Swiss Wall which drops down from Avoriaz is a notorious black mogul field with a very steep top section and some seriously big moguls. Attempt with caution! Les Crosets is mostly south facing so the snow can get slushy later in the season – so we recommend skiing Les Crosets in the morning and the north facing slopes in Avoriaz or Chatel in the afternoons. A visit to Les Crosets should always include a lunch on the balcony at the Toupin restaurant. The food and views are to die for! Is the largest resort in the Portes du Soleil and is very popular with British holiday-makers. Located in the valley below Avoriaz, Morzine is a very picturesque town with a vibrant atmosphere and lots of alpine charm. The town itself has lots of shops, bars, and restaurants, so there is plenty to do for non-skiers. There are two main ski areas in Morzine. On one side of the town the Pleney ski area connects with Les Gets and provides some excellent skiing for all abilities. The main Portes du Soleil ski area is accessed from the Super Morzine telecabine or the Prodains telecabine which is a five minute drive from the town. 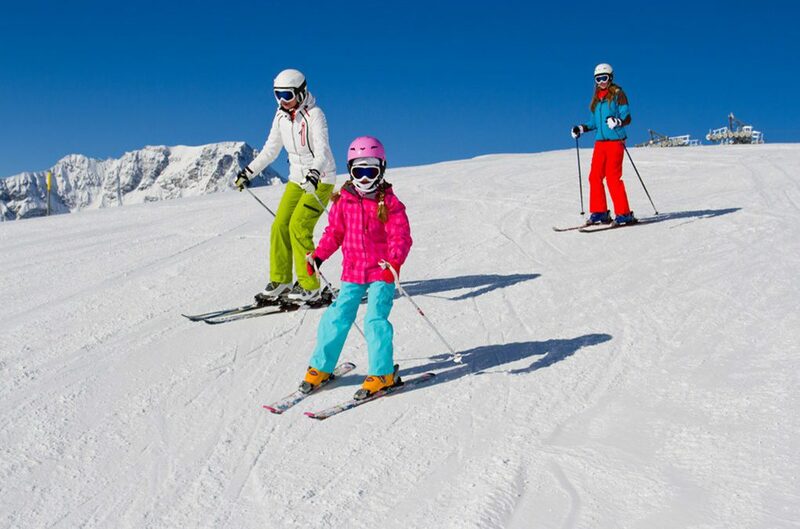 The Super Morzine ski area is a plateau near Avoriaz which is brilliant for children and beginner skiers. And the mini Stash jump park is always a big hit, with lots of bumps and jumps through the trees. If you fancy something a bit more challenging then Morzine is perfectly positioned to explore the immense Porte du Soleil ski area. Finally, for off-piste enthusiasts we recommend hiring a guide and skiing the Vallee de la Manche which is an off-piste route from the top of Avoriaz all the way down to the Morzine valley. Is a lovely family resort located to the South West corner of the Portes du Soleil. The village is very quaint with plenty of Savoyard charm and lots of gift shops and restaurants. The skiing in Les Gets is family oriented with some lovely gentle runs through the forests. 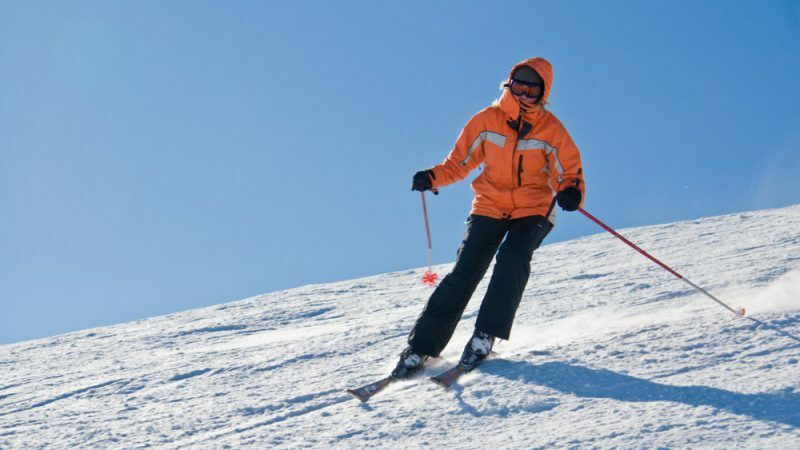 The Ranfoilly and La Rosta chairlifts takes the skiing above the treeline and when conditions are good there are some fabulous wide open pistes and powder bowls. Similar to the other resorts in the Portes du Soleil the area boasts some excellent restaurants serving the local Savoyard specialities. Chatel sits in the heart of the Portes du Soleil meaning access to the whole area is possible for intermediates and above. Originally a farming village, Chatel keeps much of its traditional alpine charm and although tourism has now overtaken agriculture, the production of Abondance cheese remains to play a key part in the valley. The Chatel ski area covers Chatel, Torgon, La Chapelle D’Abondance and half of Morgins, so there is a huge amount of skiing available for all abilities. Many skiers like to start skiing from Pre La Joux as there is a fantastic snow record, a large choice of slopes and easy access to the Portes du Soleil. However we also highly recommend starting at the Barbossine chairlift and heading over towards Torgon as the slopes are very quiet and there is some great piste and off-piste skiing. 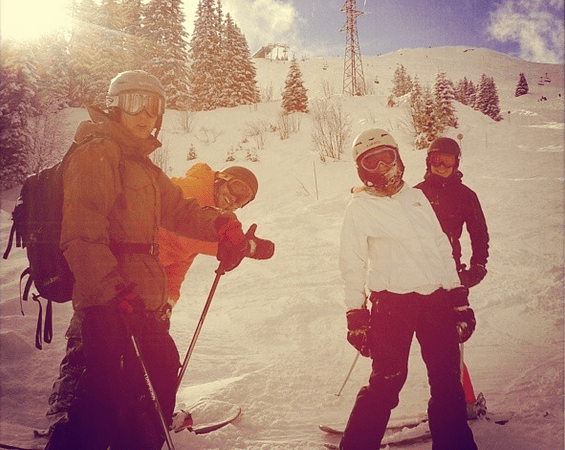 The Portes du Soleil is still unknown by many British holiday makers. If visiting for the first time you will find it very different from the more popular resorts such as Meribel and Val d’Isere. The mountains are not as high but neither are the prices. What it lacks in glamour it makes up for in authentic mountain charm. The lift queues are short, the nightlife is good, the mountain restaurants are brilliant and the skiing is world-class! Many who visit, fall in love with the area and return year after year. For more information about the Portes du Soleil please do not hesitate to contact us. 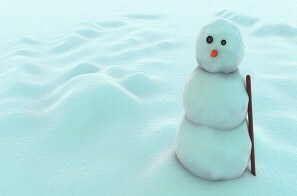 Everybody needs friends; at work, at school, on the football pitch, in the pub and in the mountains….